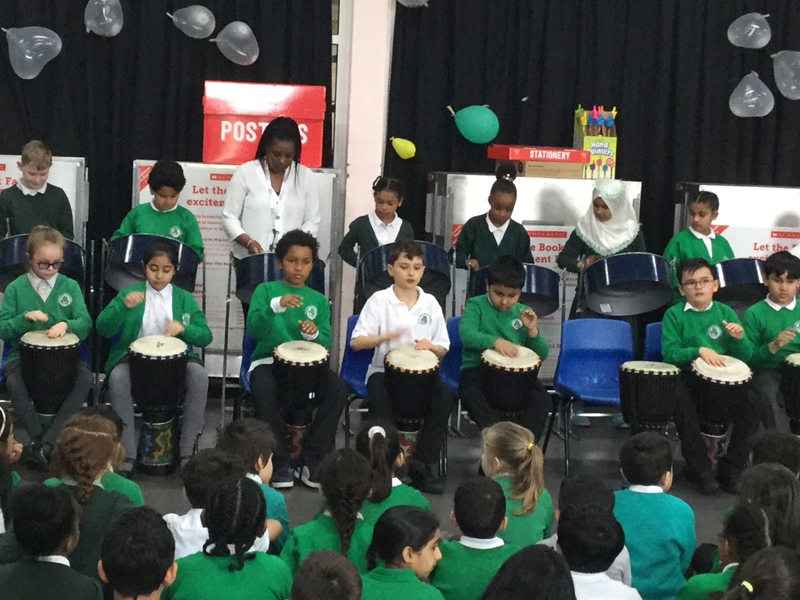 Thank you to all parents who came to watch 4B’s drumming performance. They were fantastic! 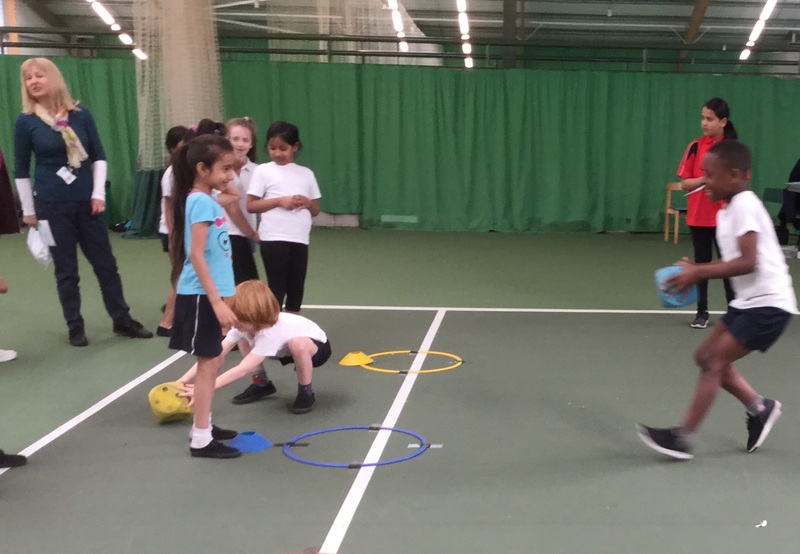 Year 1 and Year 2 really enjoyed the Multi-Skills Event at Billesley Indoor Tennis Centre this week. We balanced along beams, aimed with balls, ran relay races, balanced tennis balls and weaved through cones. By the end, we were exhausted but had had a great time! 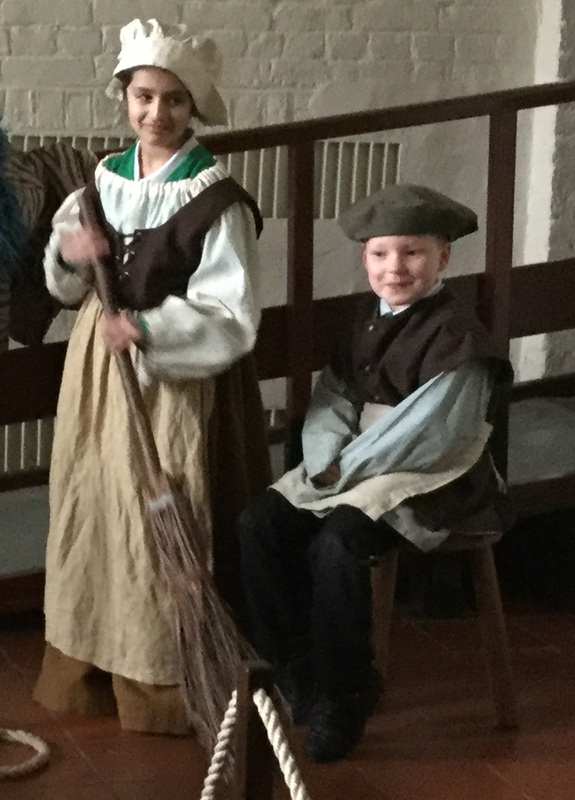 Oak, Willow and Elder classes travelled back in time at Aston Hall. We had an amazing trip during which we dressed up, worked together to hold a fire hook and wrote with real quills! 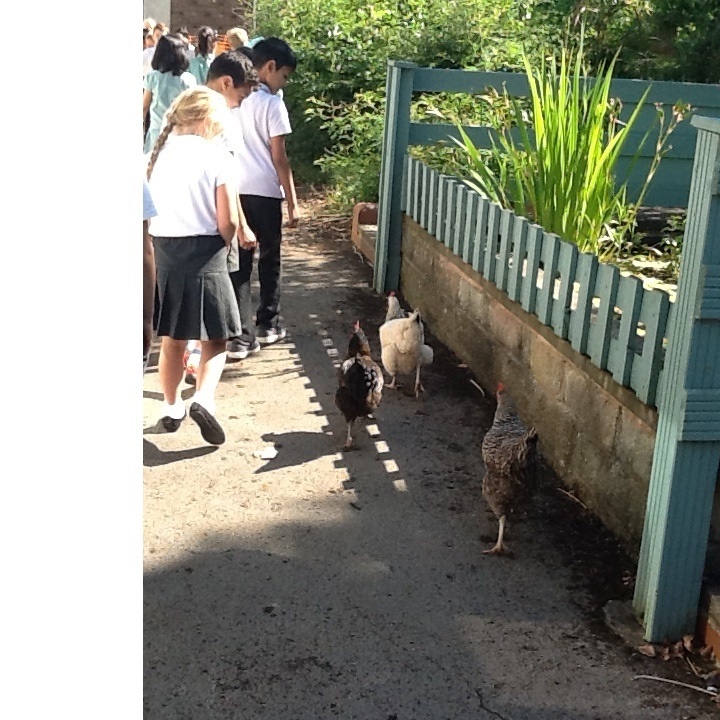 The children were great ambassadors for the school and really enjoyed the experiences throughout the day. 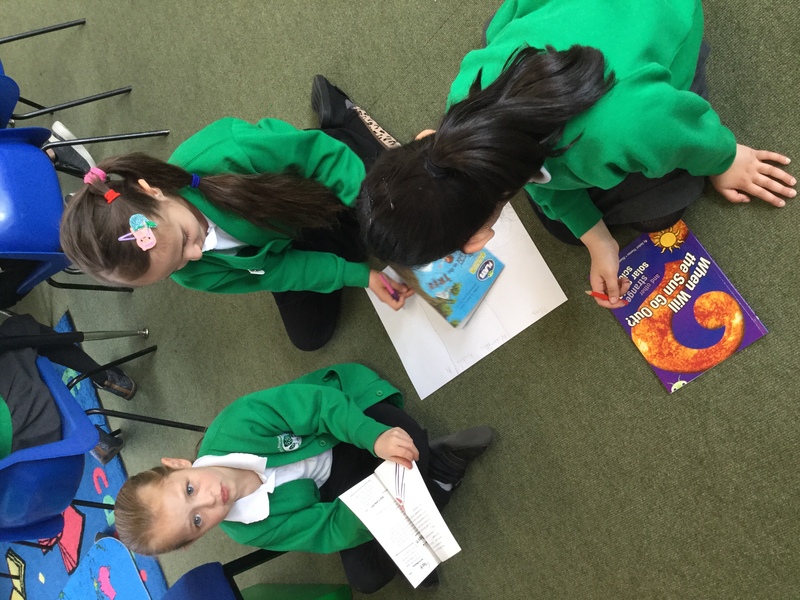 Year 2 have been working in groups this week during Reading Comprehension lessons. They have been investigating a range of texts and deciding whether they are narrative fiction, non-fiction or plays. They had to prove what type it text it was by finding the correct features and styles. Fantastic team work! On Tuesday afternoon, Oak and Willow classes continued their Healthy Lifestyle Activities. 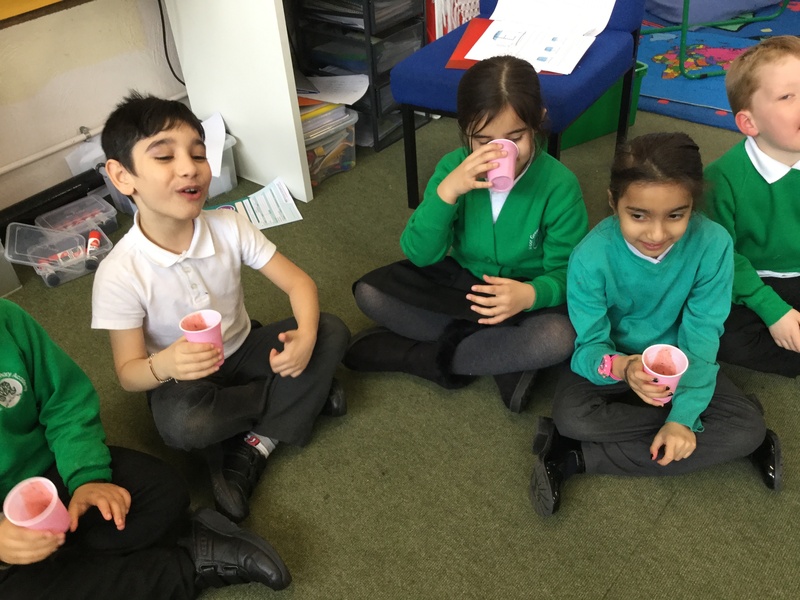 We made and tasted delicious “mouth-watering” fruit smoothies. We also joined Miss Smith-Boora in a range of physical activities that were “tiring but fun”! Thank you to all the parents who contributed ingredients for our smoothies. Oak and Willow class have been learning about grid references and how to use them to find and locate geographical features on maps. We really enjoyed using a huge grid and also creating our very own treasure maps! 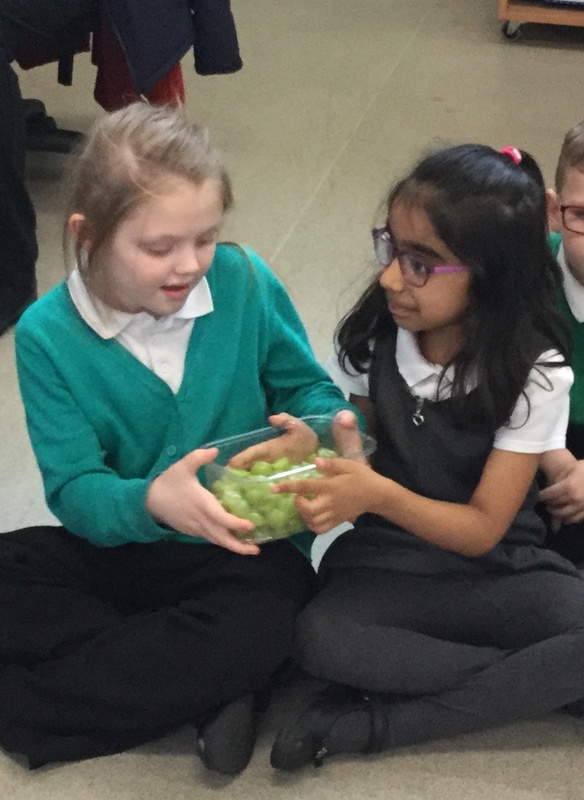 Healthy Lifestyle Event in KS1: Oak, Elder and Willow classes took part in some fun activities to raise awareness of how to stay healthy and happy! 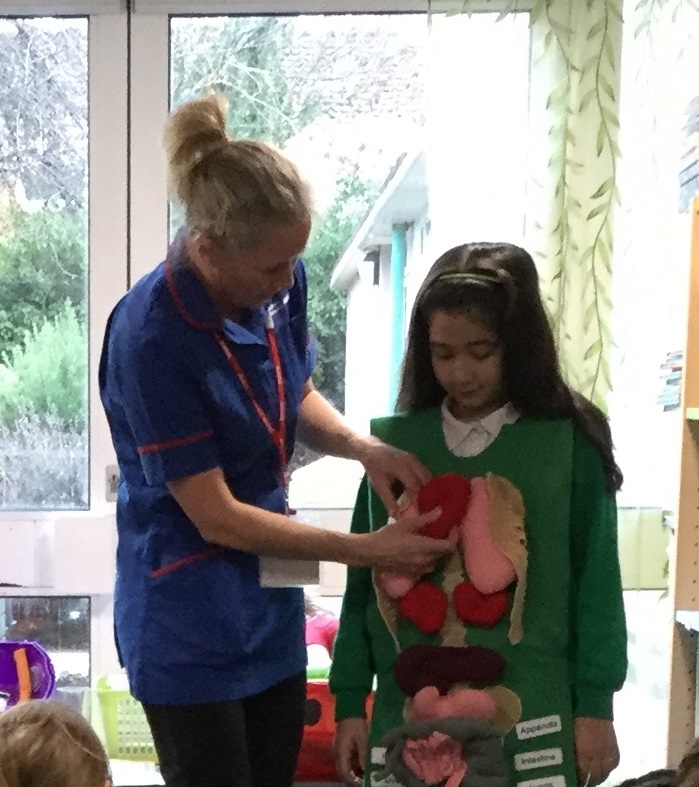 They played games such as ‘Pass the Fruit’, talked about what makes them feel happy and relaxed, found out the importance of washing their hands properly, discovered how many hours sleep they should have each night and learnt about all of the important organs that they have inside their bodies. Many thanks to parent and nurse Jackie Logan who volunteered to come in and work with the children on this really important project! Problem solving in Year 2 by discussing, debating and thinking deeply together! 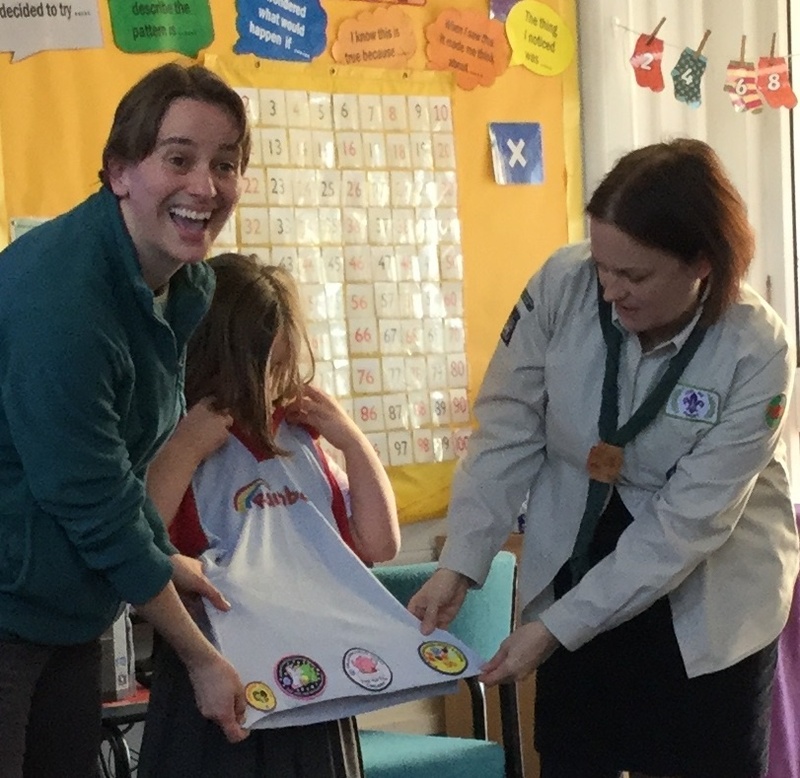 Rachel Fasham and Mrs Styles introduced us all to the fun world of Cubs, Scouts, Brownies, Rainbows and Guides during our phase assemblies this week. We discovered all of the amazing opportunities they provide for children are members… camping, cooking, experiments, arts, crafts, and many more! 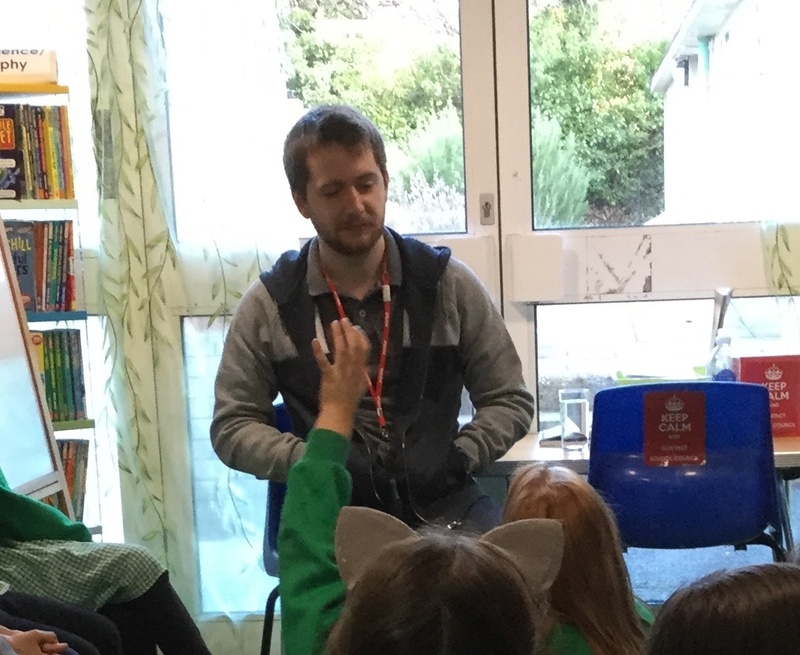 In RE this week, Oak and Willow classes have been talking to partners about the saddest and happiest events of their life so far…trips to Legoland, eating birthday cake, celebrating festivals, a relative or pet dying, moving far away from family. Then they thought of ways that they could help a younger member of their family or community to grow up to be adventurous, happy, intelligent, kind, helpful etc. Finally they created ‘Wish Cards’ to express their ideas. Last week, Year 5 enjoyed their Brilliant Beginning for our topic, The Terrible Tudors. We drew our parents in the style of a Tudor portrait and they also drew us. We were really impressed by everyone’s portraits! 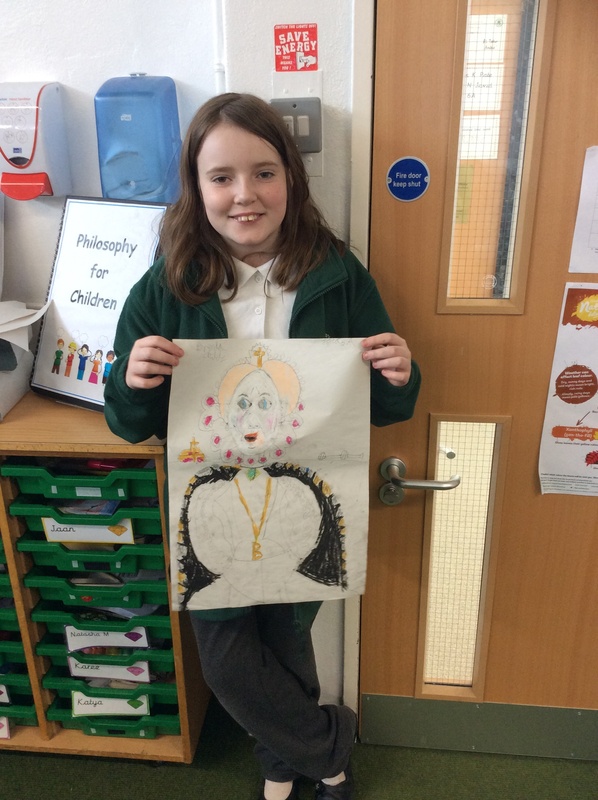 We took inspiration from the Tudor portraits we had analysed in class. Well done everyone! 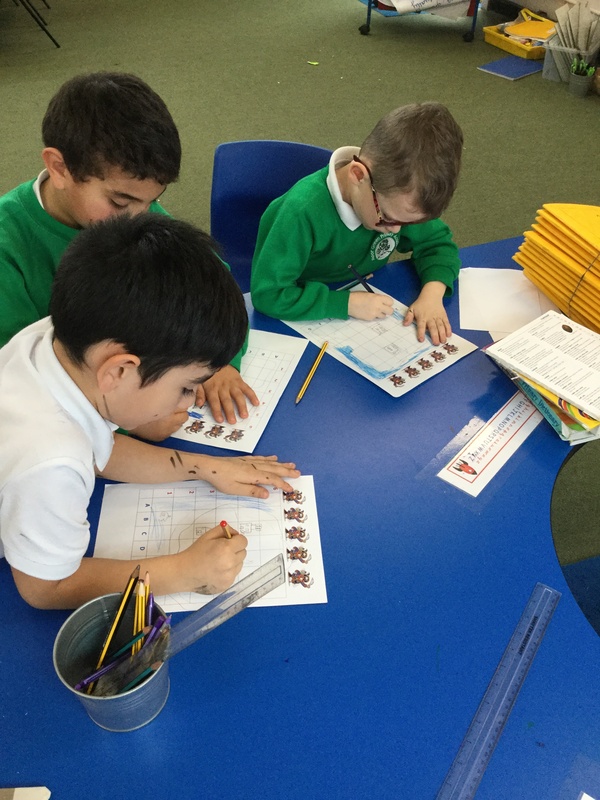 In Oak and Willow classes we have been learning about different types of text: rhyming, non-fiction and narratives. This week some of the children started identifying the features of play scripts and even acted some out with their friends! We have been historians learning about chronology in Key Stage 1. 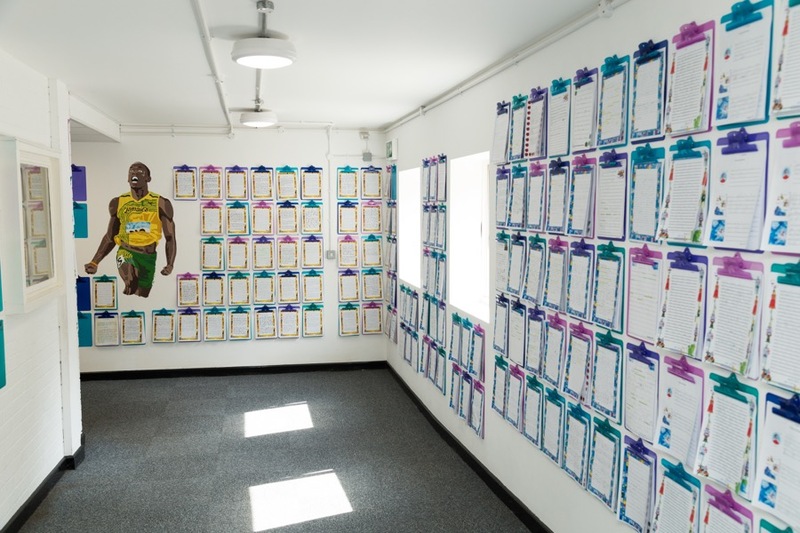 We learnt how to sequence dates and important events and then used this knowledge to create our own human timeline! We discussed which events were important and why, and discovered how different life was in 1666 when the Great Fire of London happened. Lots of family members came into school to join in with the Key Stage 1 ‘Brilliant Beginning’ for our new topic The Great Fire of London. 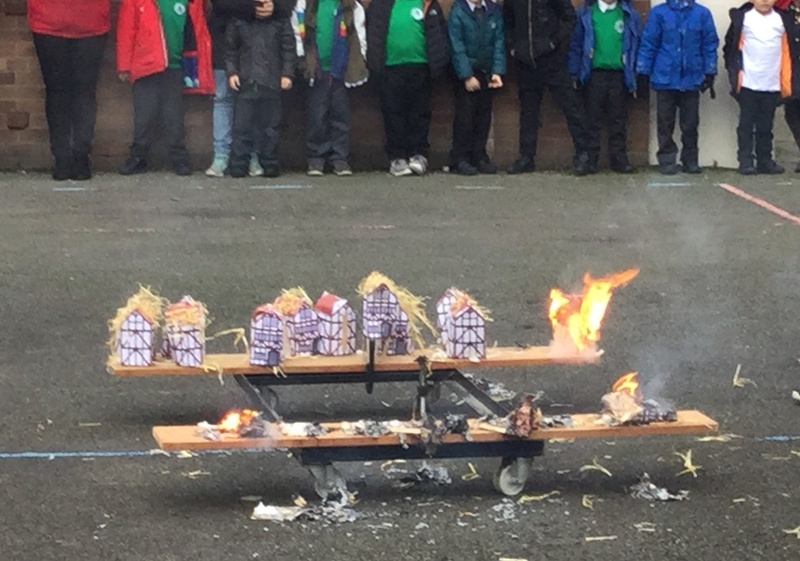 We used wood and straw to replicate the building materials used in 1666 and then set the houses up in two different ways – close together and spaced apart – before burning them! This experiment helped us to find out which layout made the fire spread more quickly. Key Stage 1 celebrated the end of their topic about Antarctica by holding a creative morning! 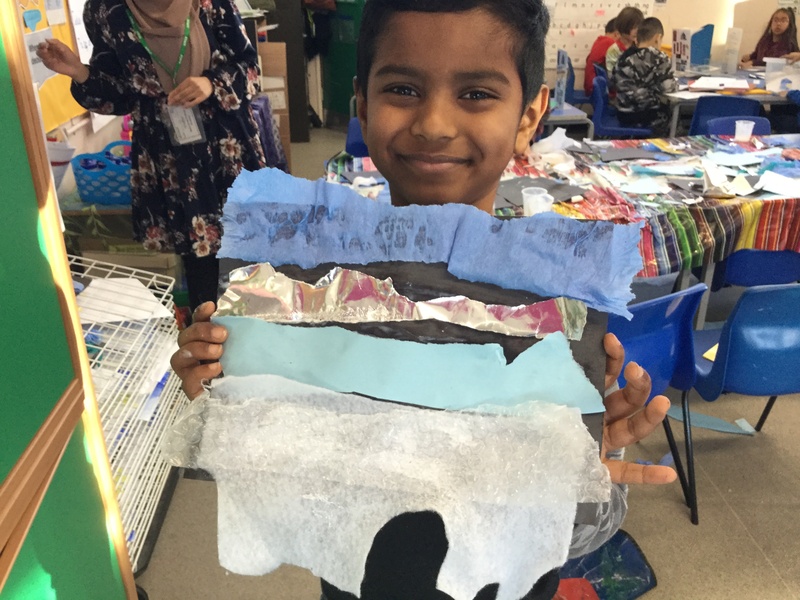 The children created Antarctica landscape collages and paintings using a range of materials and techniques, eg. scrunching, tearing, thick and thin brush strokes, colour mixing to create different shades of blue. We worked individually and with partners….”Working Together”. Everyone in Key Stage 1 had an amazing time at the Snowdome in Tamworth. 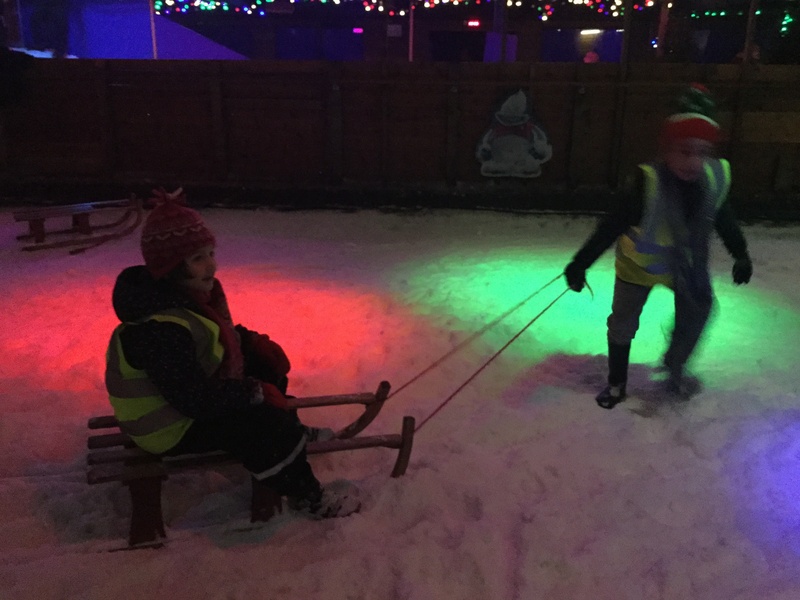 As our Exciting Ending to our topic about Antarctica, we visited the snowplay area to throw snowballs, pull sledges and zoom down the tubing slide! 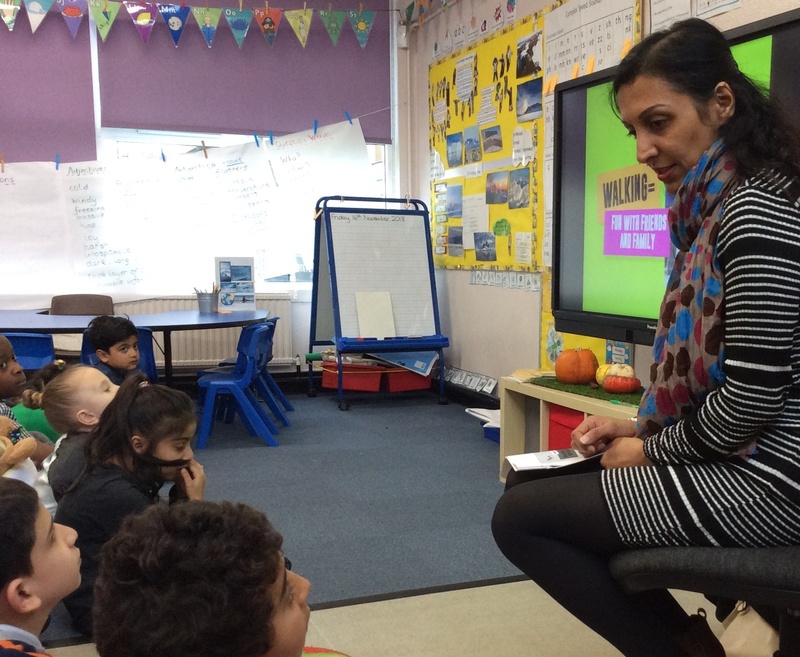 We welcomed Natasha Ennals into school this week to share her experiences of working in the Civil Service. As usual, the children had some great questions! We held our final KS2 Careers visitor event today. Many, many thanks to Yvonne for making it such a success again this year – it takes a lot of organisation to put together! This term we invited lots of volunteers into school as part of our Careers event. They came in to talk to us about their careers – what t their job entails and how they achieved their dream! What qualifications did they need? What experiences helped them to get the job they always wanted? Did they always want to do that job or did they change their mind when they grew up? We asked lots of amazing questions to find out as much as we could…. 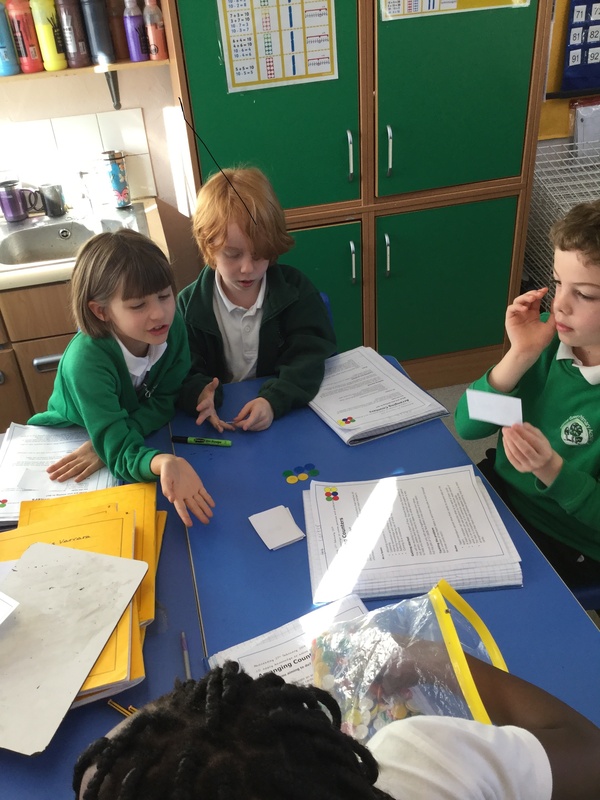 In maths this week we have been learning about the properties of 3D shapes. With a partner we became ‘Shape Investigators’ to find out how many vertices, edges and faces each shape has! 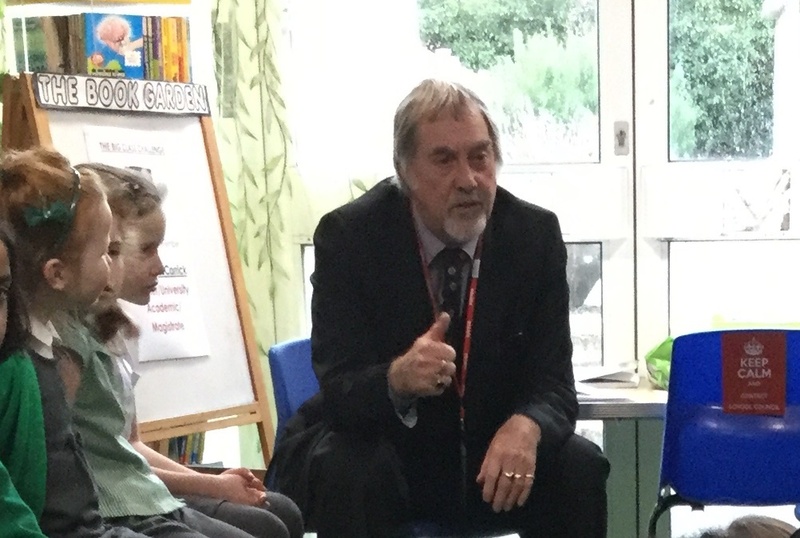 Councillor Martin Straker-Welds and Ceiran Chapman came into school last week to meet the children. School council members found out about the role of a council member from Martin and Ceiran shared his experiences working as a platform and software engineer. This term it has been wonderful to have so many volunteers in school to promote different career choices for the future! 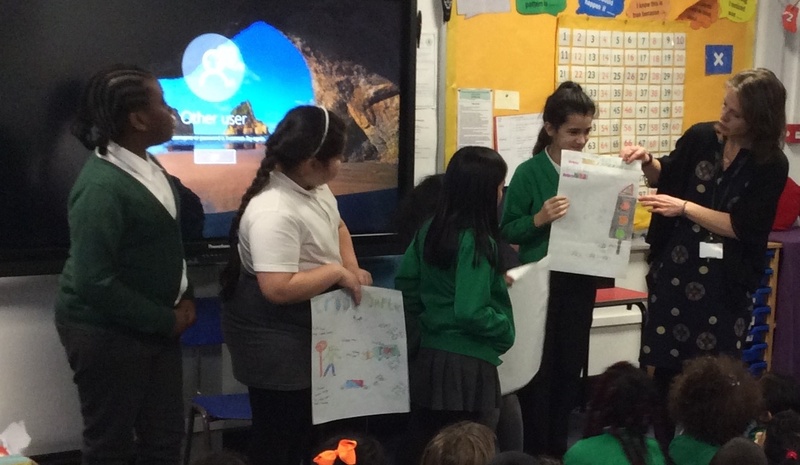 Year 5 shared their learning from Road Safety Week with the younger children within school last week. 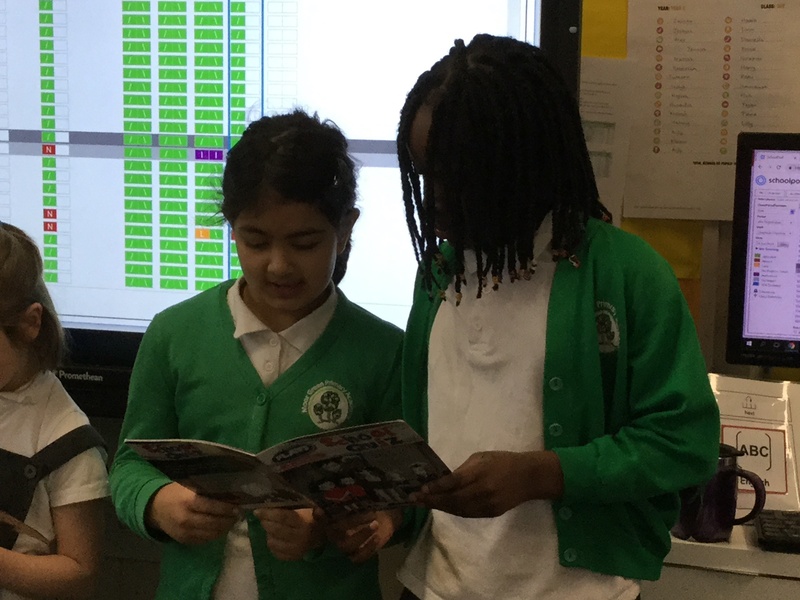 They visited Phase Assemblies in KS2 and KS1 to show the fantastic posters and slideshows that they had made to promote ways to stay safe when crossing roads or riding bikes. They gave really clear and informative explanations! 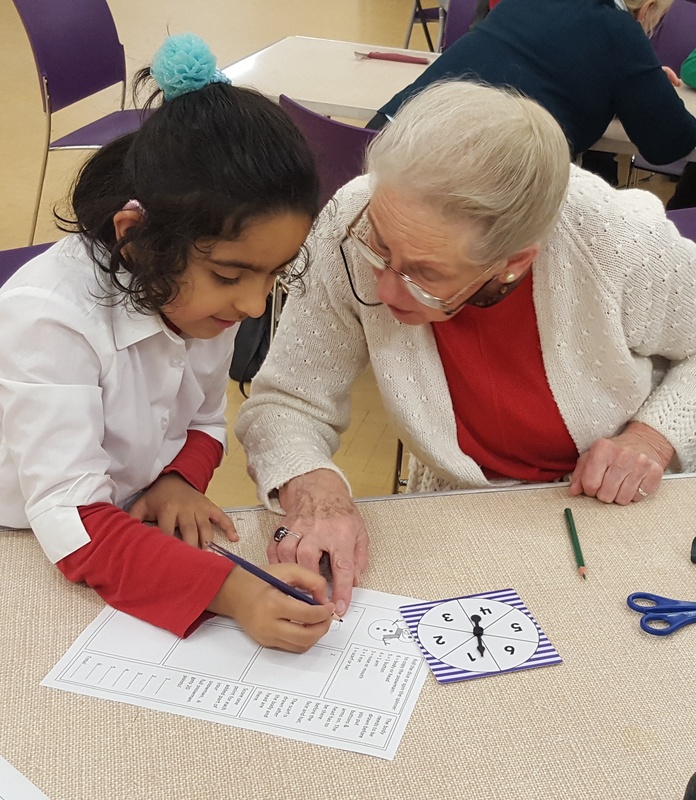 A group of Year 3 children visited the Lunch Club at Christ Church to volunteer. They played games and joined in with creative festive activities! Many of you may be aware of the risks and concerns around children playing the online game Fortnite, which has a 12 rating but is played by much younger children. We have been made aware of an emerging trend, where people are playing strip Fortnite using webcams. The rule is that when you achieve a “kill” you have to strip off, potentially adding an additional risk from children being exposed to and/or sharing indecent images whilst playing the game. 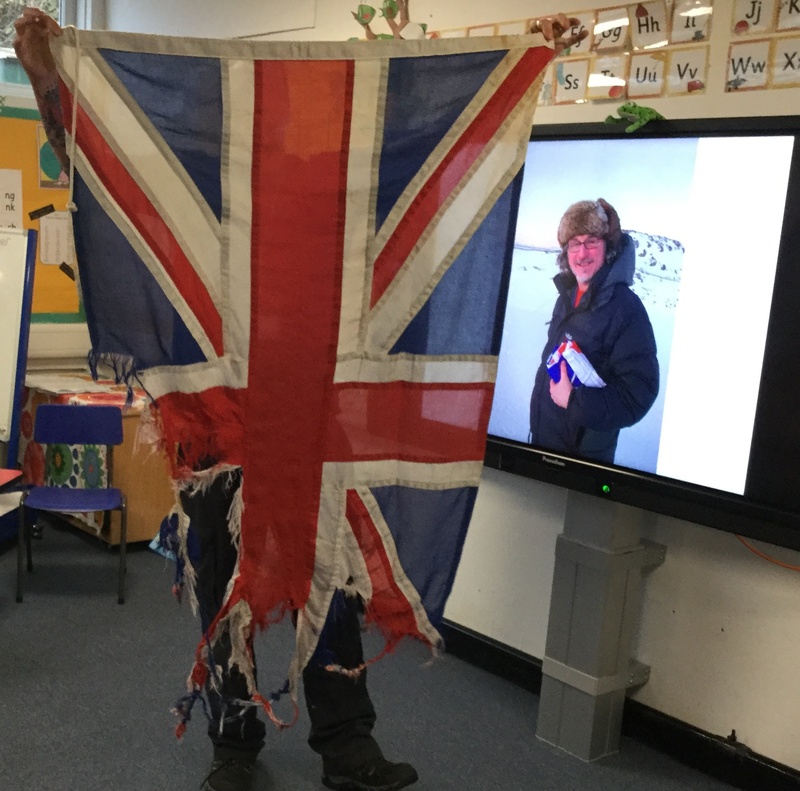 John Loines visited the children in Oak, Elder and Willow Classes to share his experiences of working in Antarctica! We loved finding out about the lone Emperor penguin who visited every year, the flag that got torn by the winds and had to be changed every year, the igloo built for use as a toilet and the purple winter skies! It was a pleasure to meet Betty today in our ‘knit and natter’ corner. 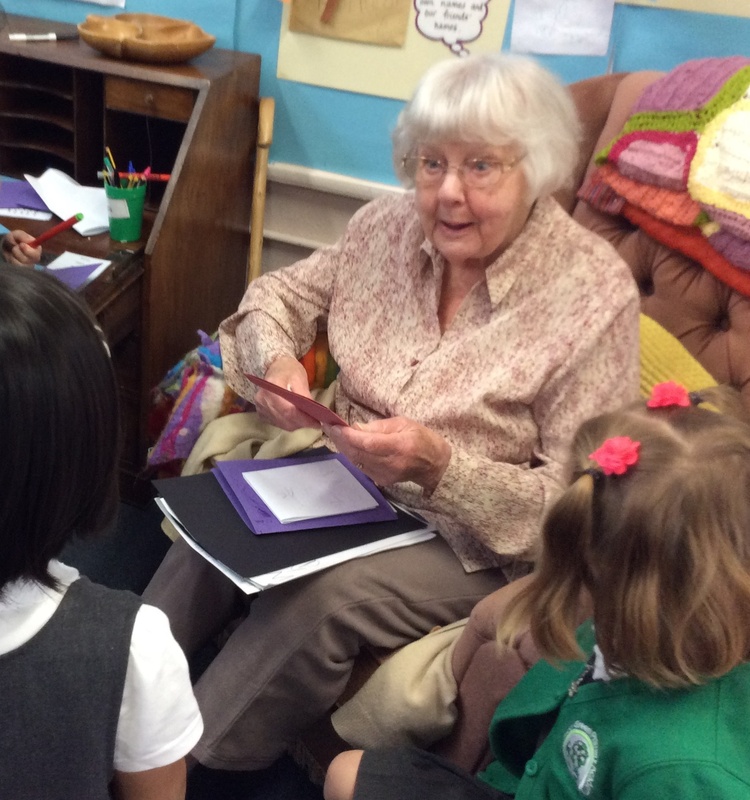 The children were amazed to hear she is 97. She helped them work out that she will be 100 in 3 years time and they talked about how long it will be until they will be 100. We were all amazed when she told us her kindergarten had an open fire to keep the children warm. She showed us the ‘fiddlers’ she was knitting for people with dementia. The children wrote their questions down before she arrived and she left with a bag full of thank you cards. Betty said it was a wonderful day and she would be talking about it for weeks! Many thanks to Douglas McCarrick who came into school and shared his experiences as a magistrate and university academic with the children as part of our BCC Careers event. We are looking forward to welcoming many more visitors from the school and local community who have volunteered to share their career paths with the children in Key Stage 2. Raji Takhar from Living Streets came to our assemblies this week to introduce our new Travel Tracker Project. 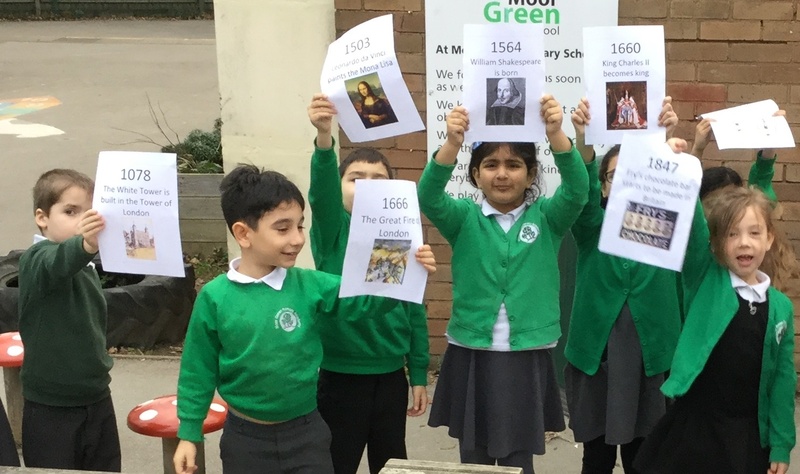 We want everyone to find an active way to come to school at least once every week to raise awareness of pollution, congestion, healthy lifestyles and safety. There will be badges for all those children who reach the goal! The Big Class Challenge gets underway!! Lisa Mart, Theatre Director of the Alexandra Theatre, got our BCC Careers event 2018-19 off to a great start today! 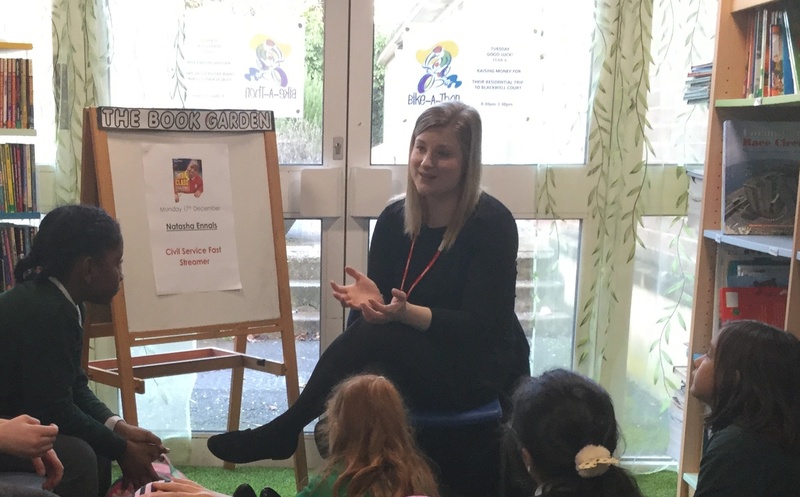 She came in to speak to the children about how she achieved her dream career and to answer any questions from children keen to pursue a similar career in the future. 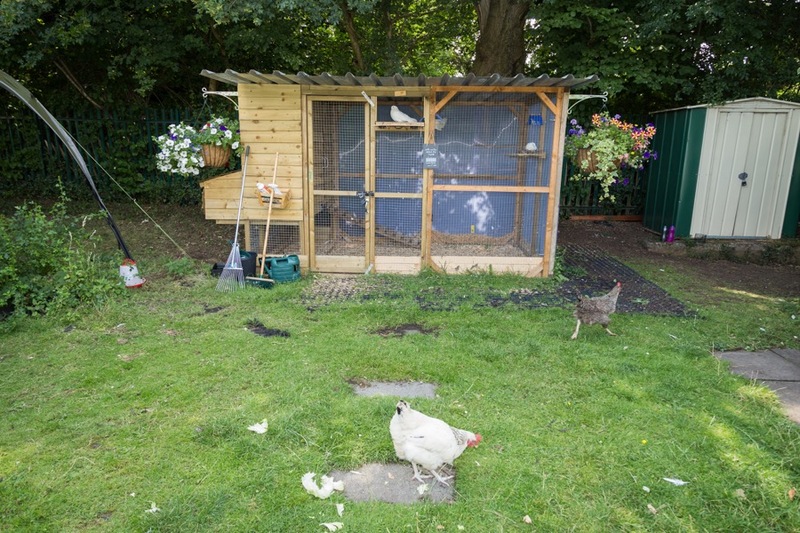 The children in Key Stage 1 have been visiting the school’s chickens, doves and peacocks to help them learn about what animals need to survive. 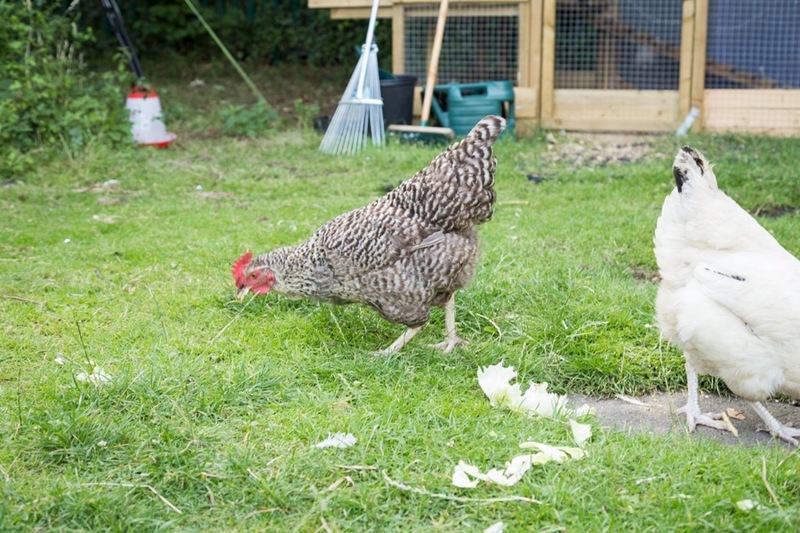 We were lucky enough to see some eggs that had been laid by the hens and collected that morning! 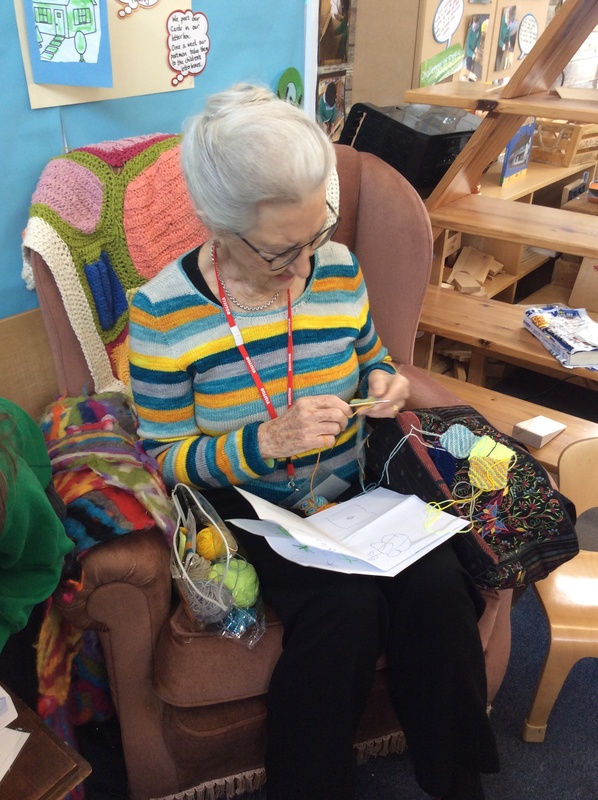 Former teacher and winner of the first series of ‘The Great British Sewing Bee’, Anne Rowley (87) was our first volunteer to ‘Knit and Natter’ in reception. The children were shocked and amazed to learn that she had made the jumper that she was wearing that day. The children talked to her about what she was doing and who knits in their families. They made her cards and pictures to take away with her. It was a fantastic morning! Every week we will have another visitor in our comfy chair. Next week we will meet Betty who is 97. The big class challenge has now started, please help us to to promote the children’s understanding of different careers and educational pathways available to them in the future. 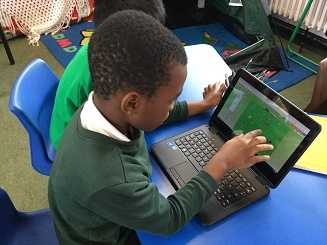 In Year 2 this week we have been using the school netbooks for different purposes. We used Paint to create Antarctica landscapes and we used j2e to learn about coding and algorithms. 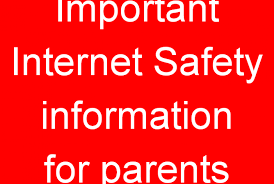 Look out for your child coming home with information on how to log on and use j2e at home! We had a special assembly on Tuesday to introduce Anti-Bullying Week (12th-16th November). 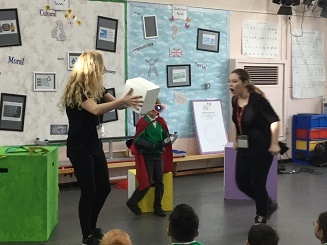 Through action, roleplay and discussion we learnt about the different kinds of bullying and how we can use ‘The Power of One’ to put a stop to bullying! Everyone in school has made a pledge to respect everybody and to step up and do the right thing so that bullying doesn’t happen in our school. 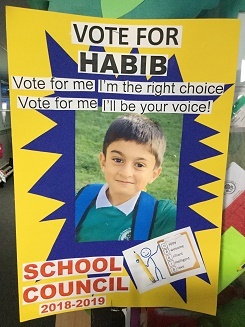 Amazing election posters have been appearing around school. 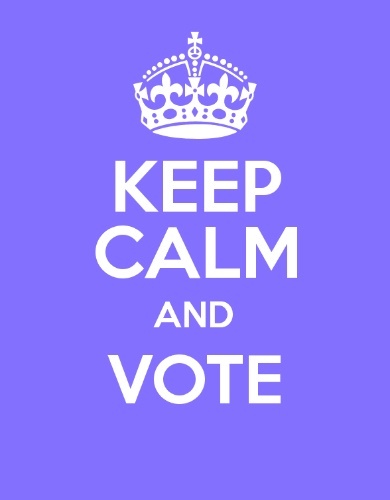 Remember to vote for your class candidate on Friday 26th October! 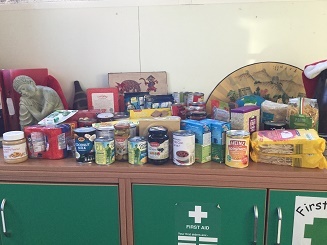 Remember to send in any donations for our charity Food Bank Parcel by Friday 16th November. We welcomed Rachel Fasham from Christ Church and Catherine Grylls from Church of the Ascension into school this week. They explained to the children about the Christian festival of Harvest and how we can help people less fortunate than ourselves by donating to the local food bank charity. 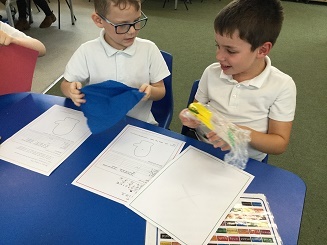 Key Stage 1 have been preparing for their DT parent workshop by testing different materials and finding out which would be the best one for making mittens. We investigated the properties of plastic, paper, card, felt, wood and cotton to determine which was the softest, strongest and most able to keep us warm! We decided that felt would be the best. Many thanks to all of the parents who came to our DT workshop in Key Stage 1. 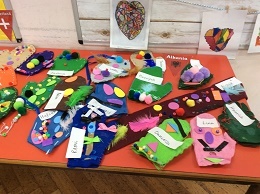 The imagination, support and perseverance was amazing and the mittens created look fantastic! A massive thank you to all the children who have volunteered in the library this term. 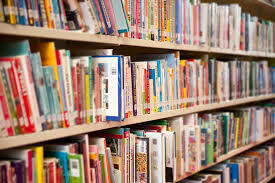 We have re-organised the non-fiction system and audited the books. Don’t forget the Summer Reading Challenge taking place in your local library throughout the summer holiday. Year 2 made posters about their year and shared them with Year 1 during our Key Stage 1 Transition assembly today. 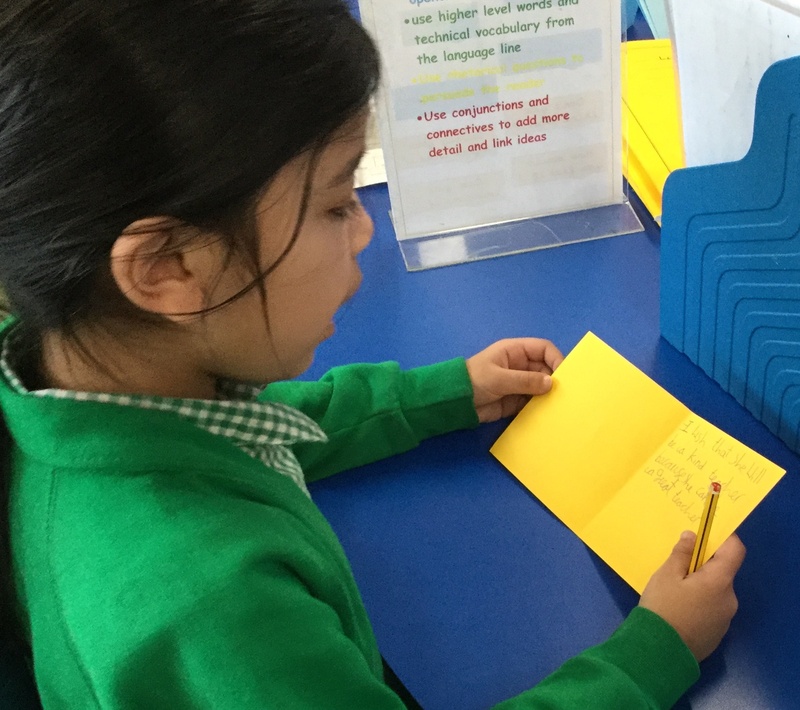 The older children told the younger children about all the special events they have enjoyed throughout the year, such as visits, swimming and Forest School. The Year 1 children also asked some fantastic questions to find out more. 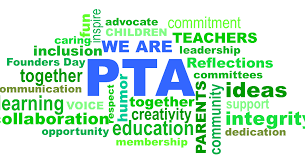 The PTA would like to thank all parents, pupils, staff & volunteers for their support this year! 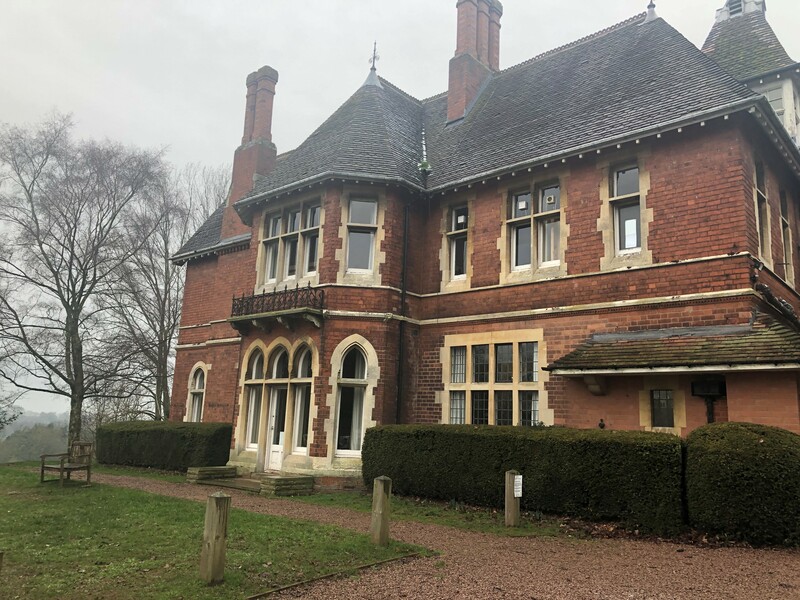 Through our regular fundraising activities, including cake sales, non-uniform days and the Autumn & Summer Fairs, we have raised a lots of money, all of which has been spent on the children at our school. – We organised a surprise visit from the Ice Cream Man during this last week of term, and all children & teachers got to visit and choose a free ice cream! Year 2 have been wowing their teachers with their computing skills this week! 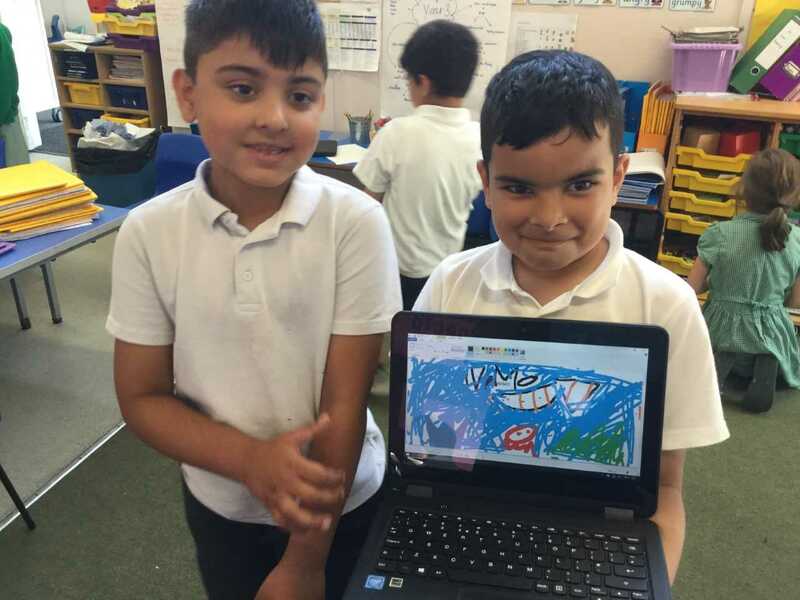 Following on from their online research about animals and their habitats, they have created detailed images of what they found out. They have also learnt how to use j2e to input and organise information, such as in graphs and charts. Reception had a lovely time on their bakery Trip. 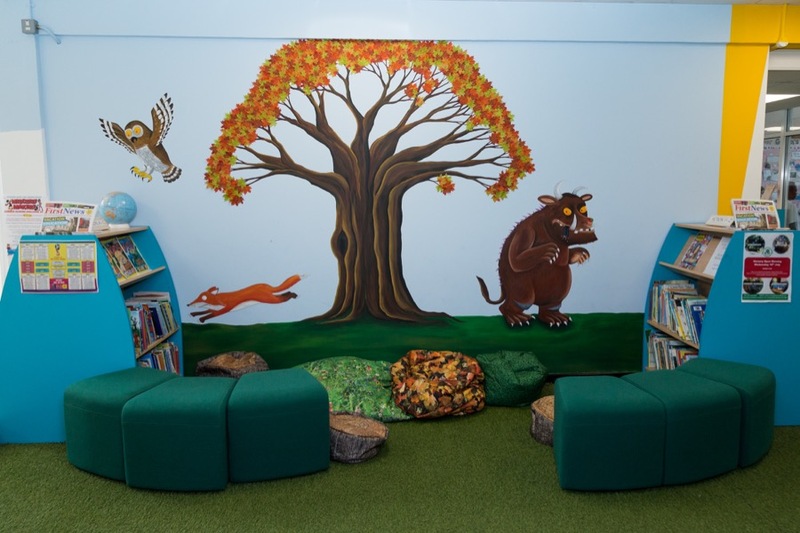 The Book Garden Library is pleased to support this years summer reading challenge being held throughout Birmingham’s local libraries. The challenge of ‘Mischief Makers’ is to read 6 books throughout the holiday. It’s fun! It’s free! It’s local! Local councillor Martin Straker Welds visited school and opened our new Friendship Bench in the Key Stage 2 playground. He was impressed by all the hard work the volunteers had put into preparing and painting the bench! He is also looking forward to meeting our school councillors when they visit the Council House on Tuesday. Moor Green Forest School – year 5 picked courgettes from our school allotment, took them to forest school and fried them over a fire. They were DELICIOUS! Year 2 Herb Project – the final session of our fabulous Herb Project, funded by the PTA, took place this week. As well as making a sage, parsley and rosemary pesto the children learnt about the soothing properties of garlic and used it on their skin to sooth cuts and bruises. Well done to the children in 1B who were very safe around our campfire this afternoon. They enjoyed tasting pancakes made over the fire and all the children toasted a marshmallow. Thank you to all the parents and grandparents who came to help! Year 2 had a fun day at the seaside as part of their history topic. They rode donkeys, built sandcastles and had a delicious lunch of chips and ice cream at Weston-Super-Mare! Congratulations to Y4 and Y5 for your fantastic drumming performance this morning. You were amazing! KES and KEHS Junior Swing Band with their conductor Martin Monks performed a stunning array of jazz and swing pieces for us here at Moor Green Primary Academy yesterday morning. 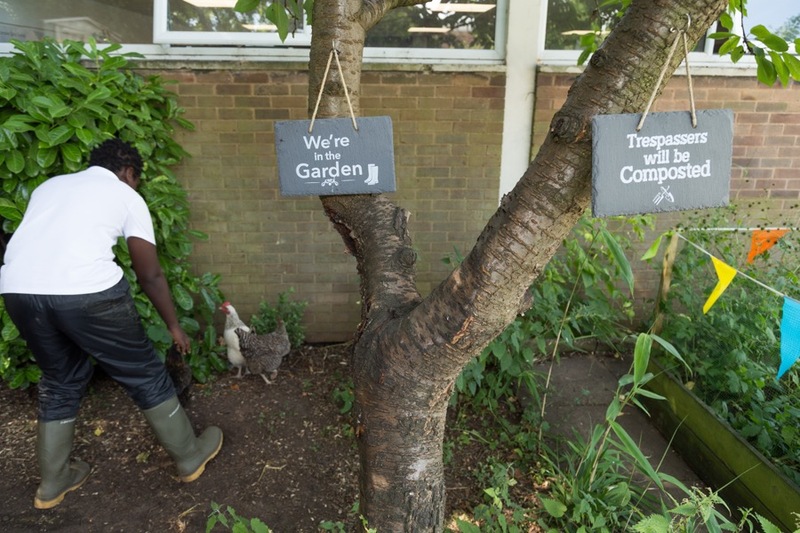 The children sat in the shade of the trees in the ‘Chicken Courtyard’ to enjoy the concert. The children in Year 3 surprised Year 2 children last week with some wonderful posters all about their great experiences this year in Key Stage 2! They answered lots of the younger children’s questions about what life is like in Year 3 to help them with their transition in September. Years 1, 3 and 4 have been enjoying cooking over a campfire during their final sessions of Forest School for this year. Whilst the elder flowers have been blooming we have been frying elder flower fritters and making elder flower cordial. We have been very careful to pick only a fifth of the elder flowers on any one tree in order to leave enough for the berries to form in the autumn. We also left them so that birds and other animals can feed from them. 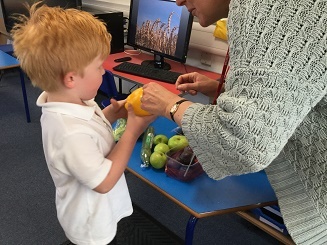 Year 2 learnt all about healthy lifestyles in Science this week. They discussed the importance of a healthy diet, regular exercise and hygiene. Great teamwork sharing the pen to write down all of their wonderful ideas! This week Year 2 have been preparing to write their own explanation texts about how an ice-cream maker works. ‘We used our plans from last week to construct interesting and informative sentences that could explain ideas clearly to the reader.’ By sharing their ideas with a partner, they were able to help each other to check that their sentences made sense! 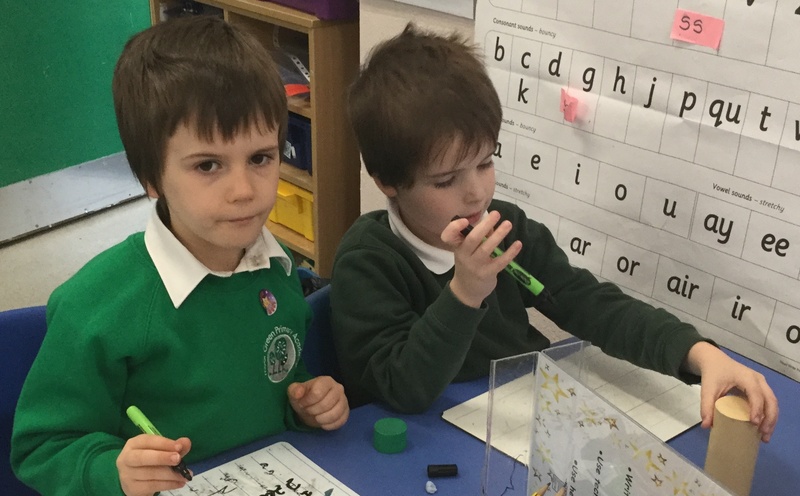 Year 2 have been learning about grid references in Geography this week. We studied a map of London as it would have been in 1666 when the Great Fire of London started and added features using a simple key. We worked with a partner to colour in all of the areas which were affected by the fire and were amazed by how much of London was burnt! Year 2 had a great visit to Aston Hall as part of their history topic about The Great Fire of London. They dressed up, wrote with quills, worked as a team to roleplay putting out a fire and found out lots of interesting information!